Let’s face it. Your pet is part of your family. Your dog keeps the pace when you jog on the weekends. Pet ownership has exploded since the mid-1990s. Now, not only is a dog, man’s best friend, but also child & woman’s welcoming party too. There is a valuable position within the family that a pet fills, as they love their owner unconditionally and seem to be there through all your moods and life experiences. So it’s kind of difficult to be relaxed on vacation, when you know they may be suffering without you in a kennel or cage somewhere back home. Luckily, hospitality and lodging has become more cooperative in allowing pet stays so you can travel with your pet on vacation. You’re ready for a vacation in the Smoky Mountains, but you feel guilty leaving your pet behind or asking a friend to check in on it. 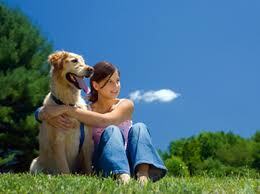 The cost to kennel a pet can be pretty steep, possibly making it a budget breaker in your vacation planning. Fortunately there’s no need to leave your pet behind or break your budget. You can rent a vacation home in Gatlinburg or Pigeon Forge that will accommodate your pet right along with the rest of the family. 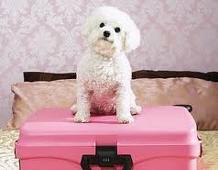 Vacation rental owners often require an additional deposit or fee for your pet, but this is often less expensive than boarding. 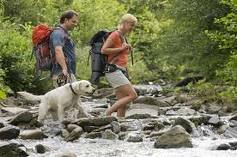 Consider bringing your pet on your next vacation near D’llywood or the Smoky Mountains. Not only will you feel more comfortable in sharing your vacation with your dog, but you won’t have to worry about the cost and torment a pet may face at the kennel during this time. Just make a small payment for the pet fee and bring your kennel with you, so the pet can be contained while you are away from them. We’ll see you & Fido on your next trip to the Smoky Mountains!